Escape to the wild, wild Central West for a food & wine trail with a bushranger twist this June long weekend. Introducing ‘The Roaring Days’ food and wine cultural tour package presented by regional Australia based tour operator, Silver Compass Tours, running Friday 7 to Monday 10 June 2019 to the Orange wine region in the Central West of New South Wales. This is an ideal June long weekend getaway for couples, fabulous singles and groups of friends. 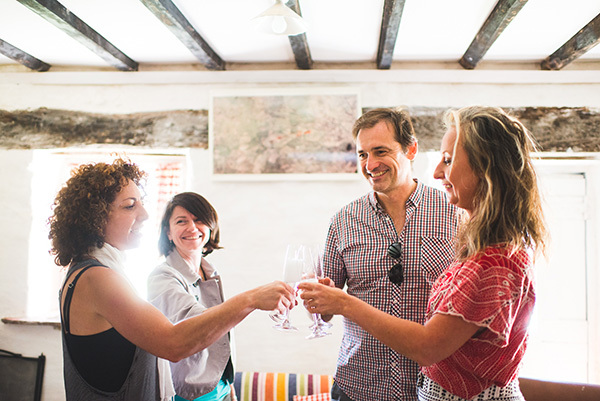 Based in the regional city of Orange, the ‘Roaring Days’ is a 4-day packaged and hosted food and wine tour through the historic villages and country pubs of Canowindra, Carcoar and Millthorpe. Following in the footsteps of one of the Orange region’s most famous locals – the legendary Australian ‘gentleman’ bushranger, Ben Hall, ‘The Roaring Days’ uniquely brings to life the glory days of Australia’s goldrush era. The ‘Roaring Days’ tour package includes return transfer from Sydney to Orange on ‘The Bushranger’s Bullet Train’, in a private carriage for the tour group on the XPT; 3 night’s accommodation in the 4-star Oriana, Orange hotel; event tickets; most meals; all transfers, local guides and hosts. Embarking on the Country Platform at Sydney Central Station on Friday, guests will be served a sparkling breakfast of local Prosecco & Pastries, including native ingredient slices and biscuits from Dreamtime Tuka, followed by a cheese and wine pairing hosted by a local vigneron while onboard the train, with a welcome lunch on arrival at the Oriana Orange hotel. Before travelling to Manildra to watch a private screening of ‘The Legend of Ben Hall’ movie at the 1930s art-deco AMUSU picture theatre in the evening, the group will participate in an official ‘Welcome to Country’ and smoking ceremony at the Borenore Caves sacred site hosted by local cultural immersion experience company, Milan Dhiiyaan – offering safe passage for the journey through Wiradjuri land. This will be followed by a Bush Tucka BBQ featuring Emu San Choy Bow as well as Saltbush & Pepperberry Kangaroo Skewers with chorizo and bush tomato relish with local touring and catering company, Indigenous Cultural Adventures. On Saturday the tour follows in the footsteps of Ben Hall and his gang in Canowindra with a 3-hour guided tour with Blind Freddy’s Bushranger Tours, which includes an organic wine-tasting at the biodynamic Wallington Wines vineyard and a country pub lunch at the historic Goolagong Hotel. This will be followed by the highlight of the tour, where the entire group will be locked into the Royal Hotel in Canowindra by the Ben Hall gang for 4-hours of live music, craft beer, local wine and a smoky BBQ thanks to local catering stars, the Smoking Brothers. A visit to the historic goldrush-era villages of Carcoar and Millthorpe slows down the pace a little on Sunday, with a Devonshire Tea, boutique shopping, lunch and a country pub stop. A final farewell lunch on Monday before departure will be hosted in an historic woolshed on picturesque Balmoral Vineyard with See Saw Wines. Package cost $1,497 per person including GST (based on double occupancy) and $1,597 for Fabulous Singles to secure own room.